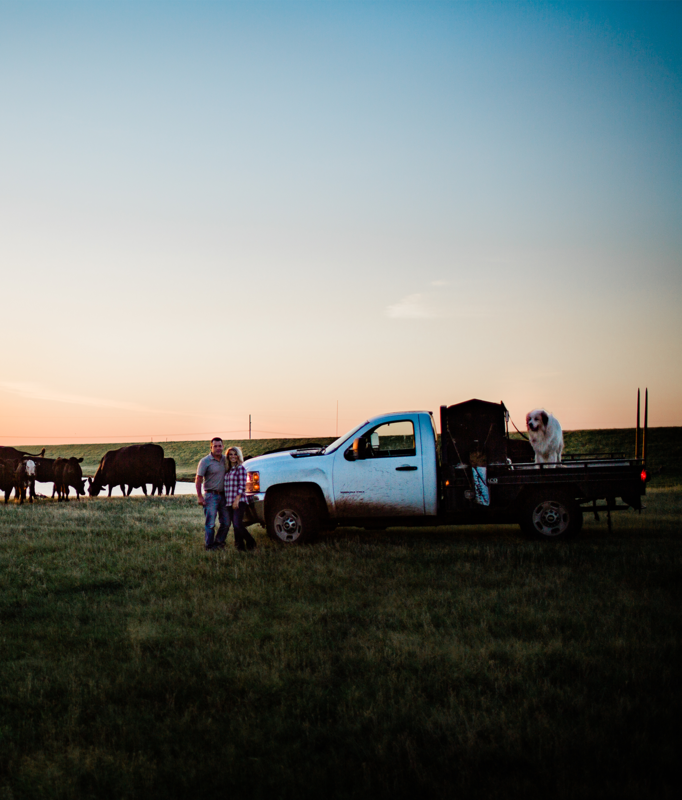 Tom and his wife bought the current ranch and built it from scratch, and are proud that their children are the fourth generation on the ranch. After Tom served as a U.S. Army infantry captain and Army Ranger, and for Cargill in the Texas Panhandle, the Fanning family moved back to May to raise family where they grew up. It starts out before the sun comes up. We start feeding cattle at 6 a.m. We feed a third by 9 a.m. The next round is done by noon and we are finished by 3 p.m. We also start shipping finished cattle at 6 a.m.I also spend a lot of time on the phone each day working with customers throughout the United States on their cattle care, marketing, risk management and financing. How does technology differ from the technology passed down to you by past generations? When I first started, we had a card handwritten with the amount of feed. You stamped that card, calculated with a calculator and entered the information into a mainframe computer. Today, the feed truck uses a wireless GPS system connected to the feed mill. The truck can’t even feed the cattle if it’s not in front of the right pen. Many checks are built in to eliminate mistakes. That information is sent directly into the office system and recorded for every person to see. I have the technology to look up an animal’s individual identification and find out what it weighed today, if it’s ever been sick or what its average daily gain is. The technology allows us to improve the way we do business and handle our cattle. How do you manage your feedyard to ensure care of animals, land and water resources? We manage every individual animal. Each individual receives a unique identification and is measured daily for weight, gain and health. Every load of feed ingredients is monitored and tested for quality, and to ensure they meet our specifications in accordance with the Beef Quality Assurance guidelines. If an animal needs an antibiotic, it’s given the exact amount it needs based on its exact weight that day. When an antibiotic is used, it’s recorded in an animal health system. However, antibiotics are rarely used. In fact, it’s less than 10% of our cattle. The few animals given antibiotics have a withdrawal period that is monitored. No animal ever leaves our facility that is not clear of antibiotic. No antibiotic is ever in the meat. 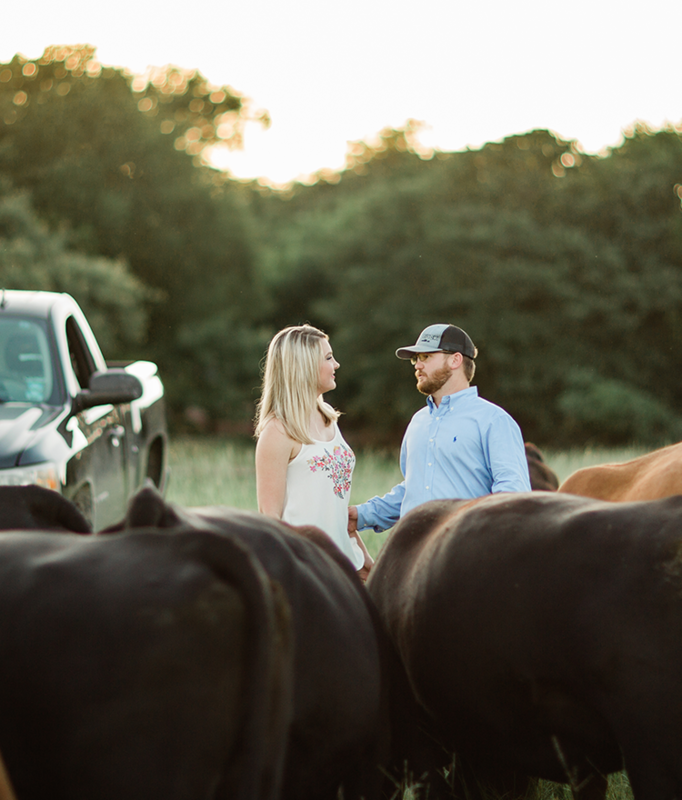 All our procedures are in accordance with the Beef Quality Assurance program. We’re audited annually by an independent third party in conjunction with our consulting veterinarian and nutritionist. Every product used is administered in the approved sites using methods that meet USDA and FDA regulations. We self check and triple check that every animal we raise is healthy and meets a high quality standard for wholesome beef. That’s a really important area of focus for us. We have both a nutrient management and pollution management plan monitored daily and weekly by the assistant manager. We employee an environmental engineer consultant. We have quarterly inspections to make sure we are compliant. In total, we work with the EPA; FDA; USDA; Oklahoma Department of Agriculture, Food and Forestry; plus the IRS. EPA covers the environmental management of the lagoons. FDA covers the feed mill and our feed manufacturing process. USDA covers food safety. That’s a big part of what we do every day. To me, sustainability is about if the practice can be replicated. It has to be good for the environment, soil and people. If one leg on that stool is not in place, it tips over and that practice is not sustainable. If you could explain one aspect of agriculture to someone who isn’t familiar with agriculture, what would it be? People I know engaged in agriculture absolutely love what they do. It’s a labor of love, a passion and a lifestyle more than some lofty career goal. When we get up every day, we like what we do. We are passionate about doing a great job. We’re creating food for our family and yours. That’s something we take very seriously. Cattle spend their final 4-6 months at a feedyard being fed a scientifically-balanced diet and receiving daily care. Cows are bred and calves are born and raised every year on cow-calf farms and ranches, spending time grazing on grass pastures within sight of their mothers.